Today I’m welcoming Erin McCollough to the podcast! 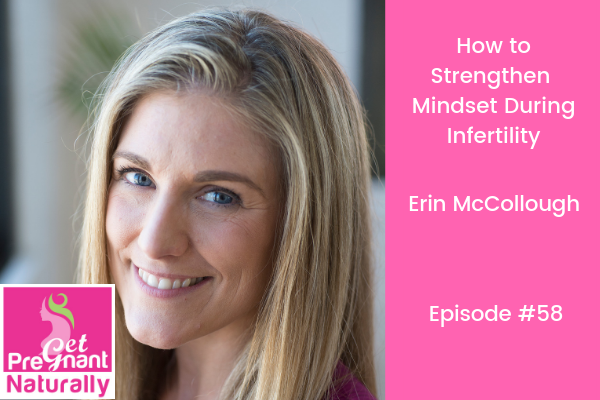 We’re digging into How To Strengthen Mindset During Infertility. Erin McCollough is Founder of Fertile Hope Yoga, the world’s first online fertility yoga studio allowing women to practice from the comfort of their living room floor. For more than a decade Erin has been leading the industry with her in-person yoga fertility program at the CNY Fertility Center in Rochester, Buffalo, Albany and Syracuse, New York owned by Dr. Robert Kiltz. She’s the Chief Marketing Officer at CNY and Co-Creator of The Fertile Secret book and has helped thousands of women reach out and hold their baby after they had been told they could never get pregnant. She calls upon her 20 years of training and practice in the healing arts: yoga teacher trainings, licensed massage therapy, Reiki certified, Doula trained, myofascial release, Arvigo Therapy certified to name a few and uses the modalities to change how women approach motherhood . During infertility it can feel like so many things are out of our control. We run away from our feelings, because it’s too painful. But what if feeling our feelings…was the answer. Could feeling annoyed actually teach us patience? Could feeling anger, teach us compassion and forgiveness? Our mind will always believe everything it tells us – let’s learn how to feed it LOVE and HOPE. 1) What to do when we are in a cycle of waiting and how to find joy now! 2) What steps to take to unload our fear and anxiety. 3) Mind body techniques that can help you right now. Plus why fertility yoga can be the missing link.